Join us on Super Geeked Up LIVE where we discuss zany sci-fi, fantasy, and superhero topics and play super-fun geeky improv games! Chat about your favorite DC Superhero Shows on the CW on our DC Action Hour show! Check out our Monday Night Mayhem show where we play Dungeons & Dragons and other awesome Role Playing Games! WATCH THE SEASON FINALE OF SUPER GEEKED UP! On our Season Finale, we chatted our most anticipated Summer Movies for 2019 as well as our favorite fictional detectives as we create the Detective Cinematic Universe! And we played Super-Chat, where we could only say lines provided in the live chat by the audience, and One True Pairing, where we tried to find romantic matches for fictional pirate characters! It was also our Patreon Show so some of our awesome Patreon joined us for the geeky fun! ​Hope you enjoy the episode! 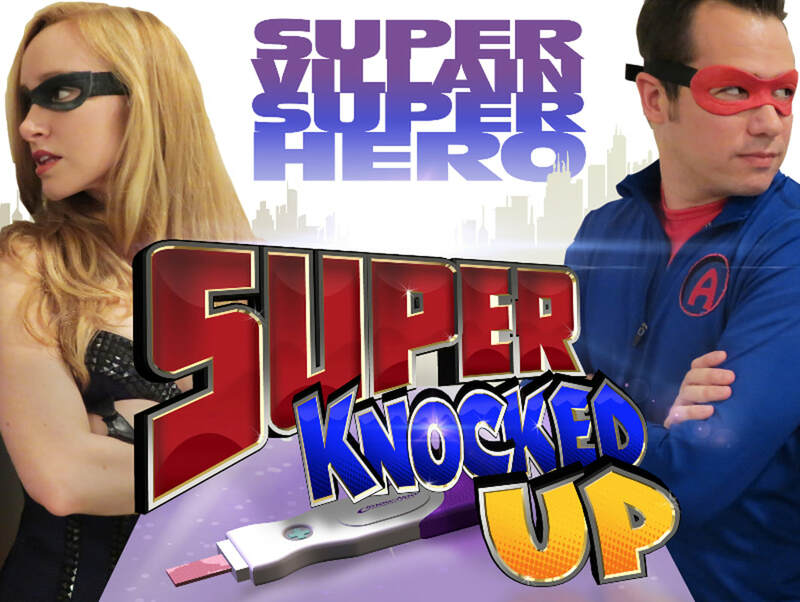 WATCH SUPER KNOCKED UP ON AMAZON! CLICK HERE TO WATCH THE SERIES ON AMAZON! Our Super Knocked Up series is now available on Amazon! You can watch two seasons of the action comedy series about a super-villain who gets knocked up by a superhero and has to raise the baby with her nemesis! You can get a whole season for only $3.99. So you don't need the megabucks of Bruce Wayne or Tony Stark to afford it. We'd super-appreciate it if you could give it a watch. And please leave a nice rating and review on Amazon while you're there. That makes it more likely we can make more super-geeky content! You can also catch the series on YouTube. Thanks so much for watching! Hope you enjoy it! HELP US KEEP DOING OUR GEEKY SHOWS! SUPPORT US ON PATREON! We need your help to keep doing our geeky shows! We're doing three shows a week and would love to expand that to every day! Plus travel to even more Comic Cons bringing our shows live to you in person! And maybe even get to do Season 3 of Super Knocked Up! Any amount you can pledge would be a huge help and we'll put it into research to giveall of you superpowers! As long as you don't mind being bitten by a radioactive spider or exposed to gamma radiation. Click the Patreon Button to the left to make a monthly pledge or the Donate button below that to make a one time donation. Thank you all so much! You are true superheroes!